Last week I signed up for Google + (you can find me here), and one of first things I tried was to sign in on an Apple iPad. 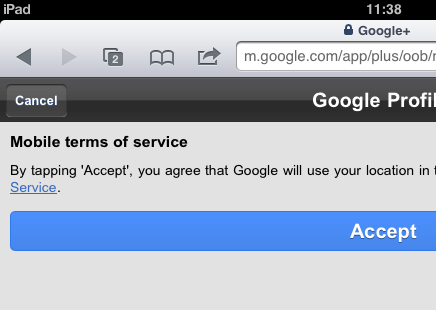 Google demanded the right to use my location with Google Plus, otherwise it would not let me sign in. But what if you want to use Google Plus without sharing your location with the world? Since Google Plus works fine on desktop PCs without location information, why should you not use it on an iPad in the same way? You will notice a couple of things about this test page. One is that it will ask your consent before attempting to retrieve your location. Another is that on a home broadband connection, it is rather inaccurate. 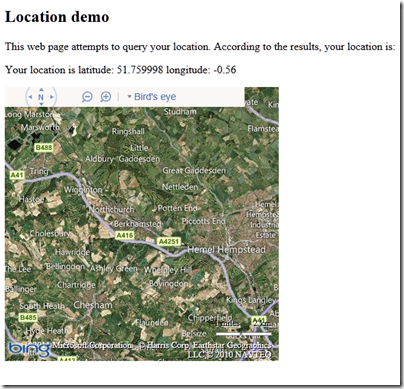 According to Internet Explorer 9 I am in Berkhamsted – do not try and visit me there though, I am nowhere near. However, if you try this on an iPad or other mobile device, you will likely get much better results. If I use the iPad, even on home wifi, it shows my house dead centre of the map. If you agree, this allows Google+ to geotag your post. 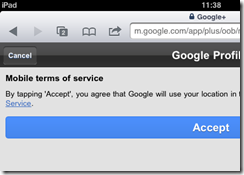 I am sure there are other ways Google plans to use your location in Google+. 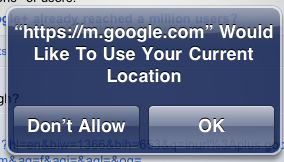 For the moment though, if you would rather maintain location privacy Google+ still allows you do to do so.